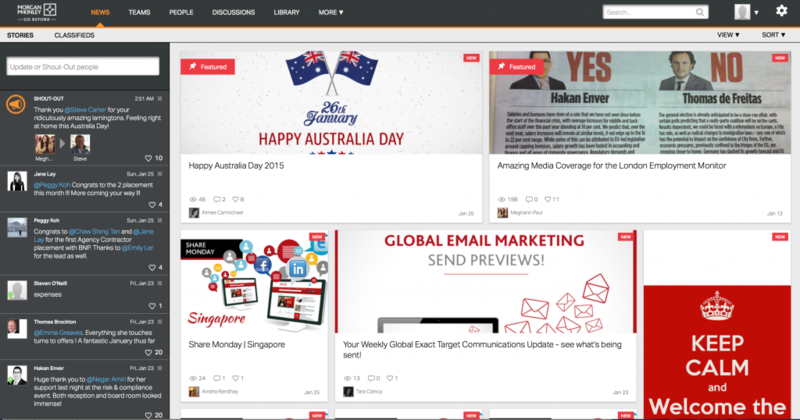 Looking for a fun way get people more familiar with your intranet? I wanted to take some time to share with you something we did to promote Jostle use and encourage camaraderie throughout our company. At our recent company party, we introduced JOSTLE BINGO! 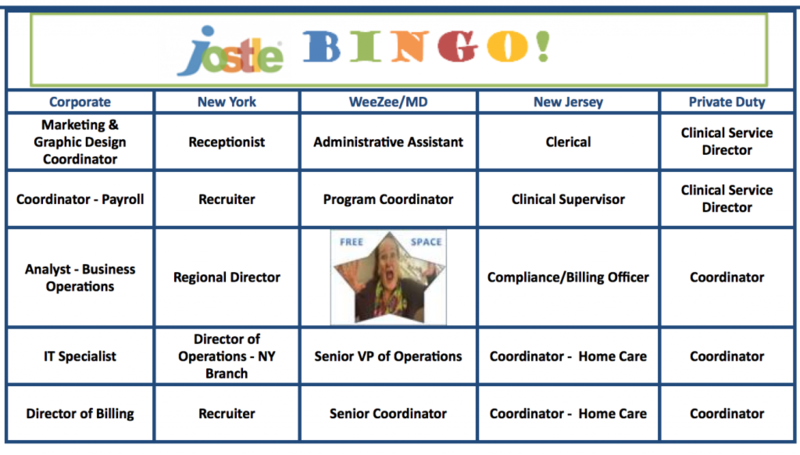 We gathered all the job titles of our co-workers and all of our branch locations into Bingo boards. Using a randomizer tool, we created cards for every person that came to our party. We had everyone download the Jostle Mobile App if they hadn’t already. When we called a name, the players had to quickly look that person up on the app, find their location (That was the B-I-N-G-O Column) and then see if the title of that individual was on their form. We played 4 rounds of Bingo and offered increased prizes for each round. This worked out great for multiple reasons. First, many employees would avoid Jostle because they were used to older ways of doing things. This game encouraged them use the platform and show them how easy it was to grab important information at a moment’s notice. Secondly, our company spans 3 states and multiple locations. Hearing their names called and looking at their pictures helped people in the company to become familiar with the others. This was a fun way to help the company come together and familiarize themselves with the Jostle platform. Overall it was a great success, especially because there were other businesses represented at this company party and they got to see first-hand the power of our intranet as we created a guest account so they could participate in the festivities as well. It worked! People liked it. Take a look at our cards. Of course our CEO donned the Free Space. We learn a lot when our customers share these kinds of stories. So we share them with you. If you have a story to share or a question to ask, please email us at info@jostle.me. We'd love to talk.